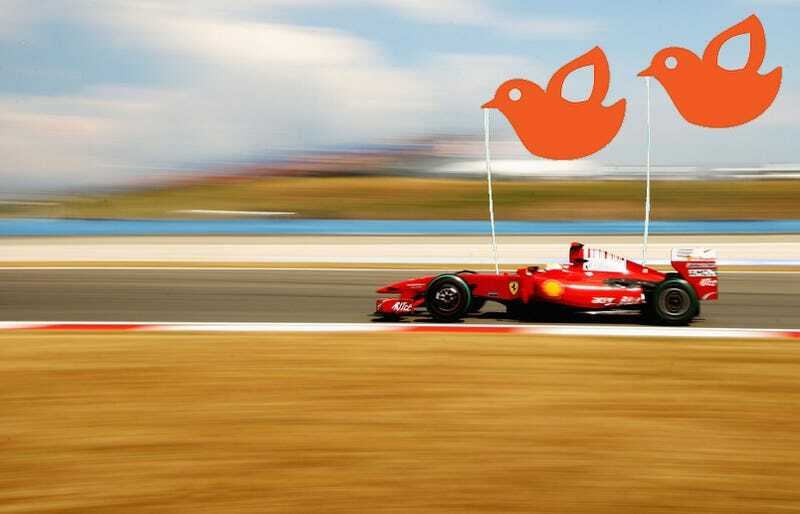 We will be live-tweeting (yes, that's right live-tweeting) this Sunday’s F1 race at 8 AM EST — follow along here for the fun. Heck, you can even root against Button if you wish. The race will be held at Istanbul Park, home to the famous multi-g Turn 8, and for the past three years, Felipe Massa of Ferrari has won every Grand Prix here. He is clawing his way back to the top after starting this season in a dismal Ferrari, but many have tried to beat Jenson Button this year. So far, only Red Bull’s Seb Vettel has succeeded in Shanghai, as Button leads the championship by 51 points, followed by Brawn teammate Rubens Barrichello with 35 and Vettel with 23. The race kicks off on Sunday at 3 PM local time, which means 8 AM on the East Coast and 5 AM on the West Coast, so it’s definitely a game for early birds. Do join us, though, if you’re awake, it will be a lot of fun. And if you decide to sleep in, don’t worry. We will follow the live broadcast with a race report. With Crayola to accompany the words, of course.